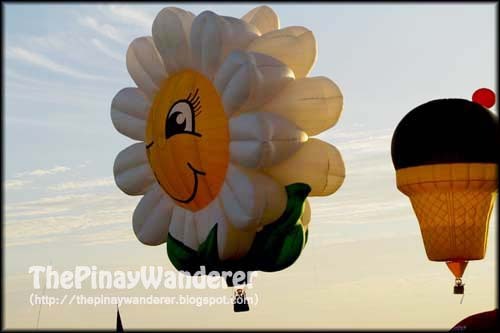 The Philippine International Hot Air Balloon Festival is a sports aviation event held in Clark Freeport Zone in Pampanga. The event's being held annually since 1994 to help boost the local economy (following the devastating Mt. Pinatubo eruption) and to make the Philippines one of the leading sports aviation and travel destinations in the Asia Pacific Region (source: Wikipedia). It is usually held during the early part of the first quarter of every year. It features hot air ballooning, aeromodelling, kite flying, aircraft competitions, paragliding, skydiving, dancing helicopters and more. When I heard about the festival and its schedule this year, I asked my friend to accompany me to Clark to watch this event. I had a previous plan with office friends but it didn't push through so I just invited one of the office friends who's part of the original plan to go with us instead. We left Manila at around 4AM and reached Clark at past 6 in the morning. We made a wrong turn somewhere in Mabalacat so it took us a little longer to reach the site. We were late so we're not able to witness the start of the event. The festival ground is full of people and a lot of balloons were already up in the air so we're not able to get a lot of shots. Just the same, we're happy to witness it. My friend's son enjoyed it a lot, too. 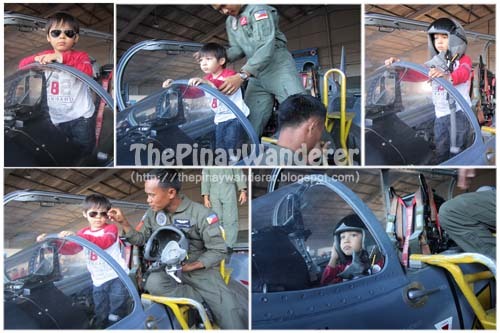 He's so amazed with the balloons and all the flying air crafts particularly the helicopters. 17th Hot Air Balloon Festival - the Cake! 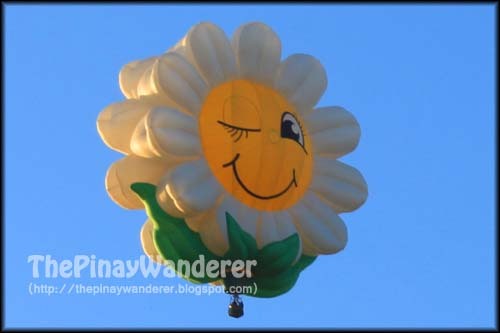 17th Hot Air Balloon Festival - the Sunflower! 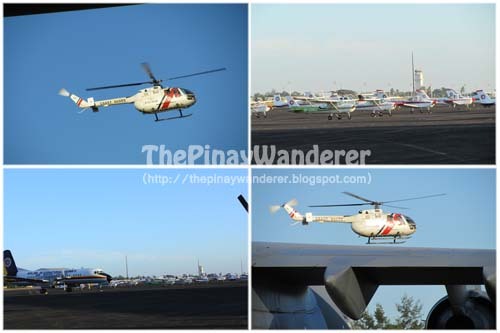 We stayed on the festival ground a little longer to take some photos of the exhibited air crafts and to allow my friend's son to enjoy more the flying helicopters he so love to watch. We also made a bee-line for the air craft so we would be able to take a photo of him as he posed as a little pilot. 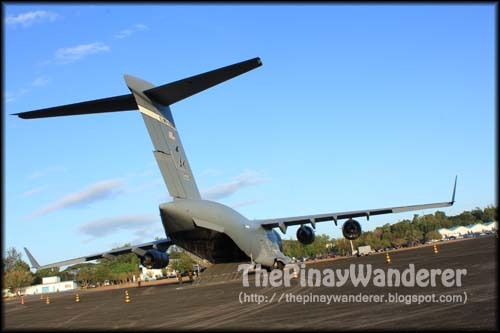 We planned to go to Nayong Pilipino and Zoocobia/Paradise Ranch later on so we left the ground immediately after the picture taking. I'll post about our visit to the Nayong Pilipino and Zoocobia/Paradise Ranch some other time. Uy nagpunta din kami dyan! kelan kayo nagpunta? Feb 10 kami e.
nandiyan din ako nung Sat ng umaga! ang cute nung flower! Hi Eli! Mukhang marming u-bloggers ang nasa Clark last Saturday, EB eto! Kaya lang sa dami ng tao hindi nagkita-kita...hehe! I missed the hot air balloon festival this year, hopefully I'll get to catch it next year. Great shots, and thanks for visiting my blog! Kami din pumunta diyan nung Sunday and sadly, we also missed the night glow! tsk! by the way, we love meeting fellow Filipino bloggers. Wish I could've gone to this! Yeah, I'm one of them but am not with any of them, heheh! ang ganda naman nyan.. kakainggit... sabi ko nga one day, makikita ko din yan..
oo nga, maraming bloggers nga pumunta dyan...nabasa ko sa mga blogs nila. ganda ng shots! 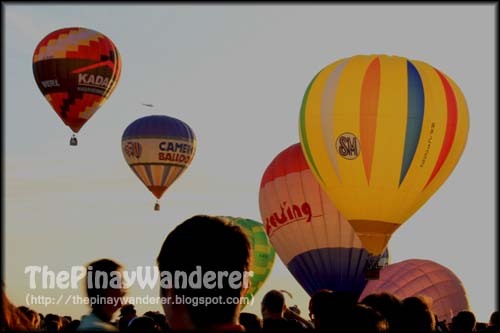 Wow,and you took a good picture.pwede ba masakyan yan, dito mayroon silang hot air balloon festival,di pa ako naka-attend.pwede ka sumukay kung gusto mo.here 's my another adventure. Hi Mhie! Pwede rin naman sumakay dito kaya lang it's too pricey, US$200 lang naman...hehe! hahaha, grabe naman ka mura, anoh? sa totoo lang kung ganyan ang price, di na ako magsakay! bili na lang ako gatas ng anak ko.Buti marami din ang naka afford sumakay sa hot air balloon nila. 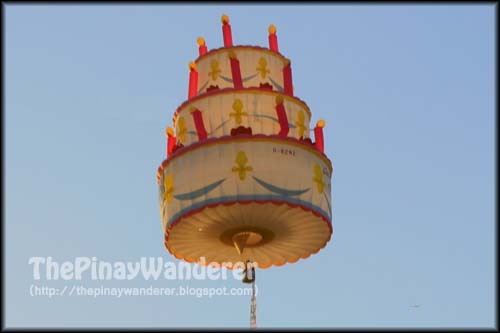 I will see this year if we'd have chance to see a hot air balloon, parang affordable dito. Nice naman! Sana mainvite ako one time dyan kahit sagot ko na food hehe, ganda kasi. Pangarap ko makawitness ng ganyan. Ewan ko ba parang ansarap siguro ng pakiramdam, siguro if andyan ako wala nakatulala nalang sa ganda ng nakikita o kaya naman maglulundag sa tuwa hehe praning mode lang *toinks! Hi Gracie! haha, kelangan call natin attention ng PIHABF admin, pa-invite tayo para sa'yo...haha! 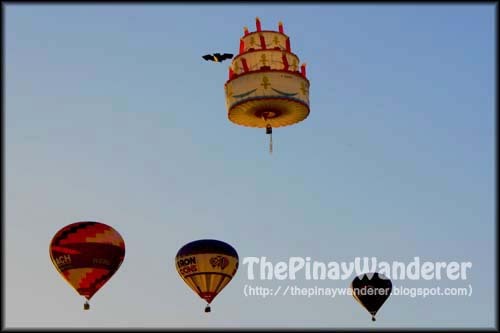 Uwi ka early next year para makapanood ka ng balloon fest...hehe! Awesome balloons! I wanted to go but hubby said no cos we went to Cebu the same week. Hayy, next year nalang! By the way, as regards your comment at my blog, mas practical if you fly from Manila to Catarman rather than going the Sorsogon route. 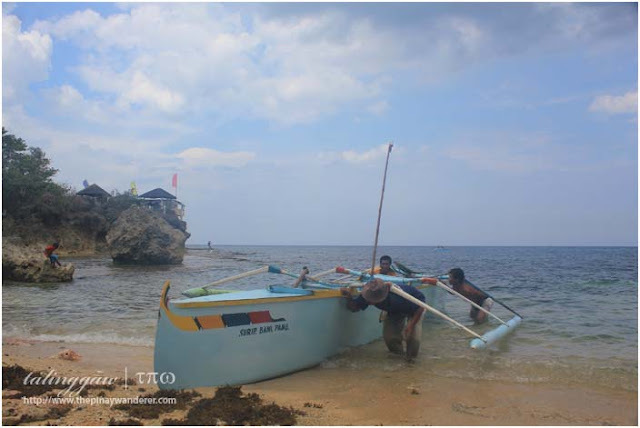 Mas malapit kasi kung manggagaling kayo ng Catarman to Biri, at mas madali rin. From Sorsosogon, kailangan pa ninyong mag-ferry. wow. this is nice. i witnessed the event too and it was a great experience.